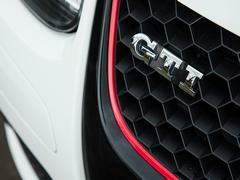 By the turn of the millennium, the GTI badge was in the doldrums. In 1975, Volkswagen invented the segment almost in its spare time - and spent the 80s and early 90s cheerfully exploring its potential. Lest we forget, the Mk2 Golf could not only be had in two outputs, but - on the continent, at least - you could have one with all-wheel-drive and a supercharger too. But then the Mk3 came along, with its shoddy steel and its ponderous emphasis on safety, and clogged up the concept's arteries. The Mk4 wasn't any better. 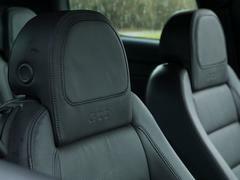 Sure, it was nicer inside and better put together, but it was also built like a crypt and made the entry-level GTI about as exciting as getting in a lift. Volkswagen didn't need telling, of course, and for two generations it simply engineered (and marketed) its way around the problem by fitting both models with cleverly packaged six-cylinder engines and a bigger price tag. 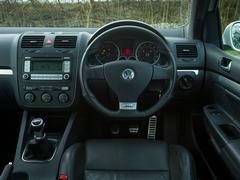 The VR6 and R32 were very good. But they were expressly not GTI variants, and the manifest superiority of both models inevitably diluted the appeal of the cheaper badge. Given their usefully fatter margins, that trend might easily have continued. 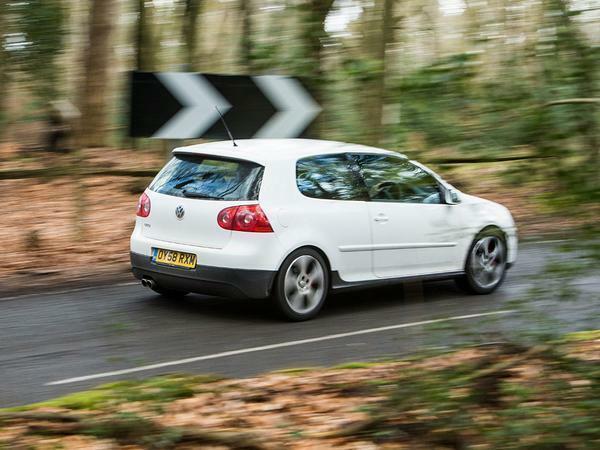 A hot hatch can only be watered down for so long before it becomes a glorified trim pack, and the forgettable, underpowered Mk4 had the Golf GTI moving assuredly in that direction. To make matters worse, Honda introduced the EP3 Civic Type R in 2001, and Ford launched the Mk1 Focus RS a year later. One was cheap and one was not - but both were front-wheel drive and endowed with the kind of rousing, 200+hp engines that made lowlier versions of the Volkswagen's 1.8-litre 20v unit feel positively anaemic. Change was needed, and it arrived in 2004. The Mk5 was built on a new platform, the PQ35, and not least among its benefits was proper independent rear suspension. 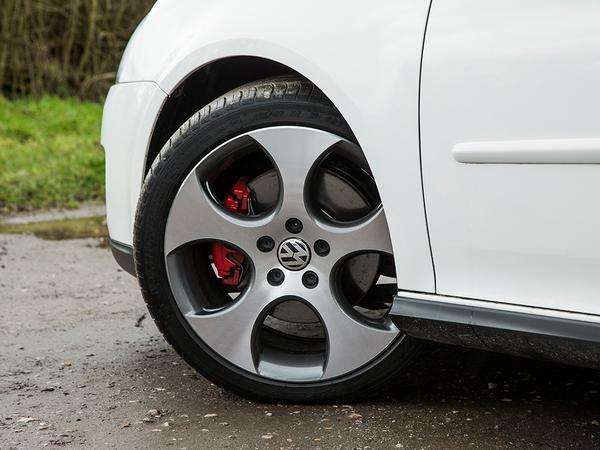 The staid styling followed the twist beam onto the rubbish heap; Wolfsburg having chiselled its replacement into the kind of dainty teardrop that looks a million bucks when underpinned by the GTI's bigger, prettier alloys. 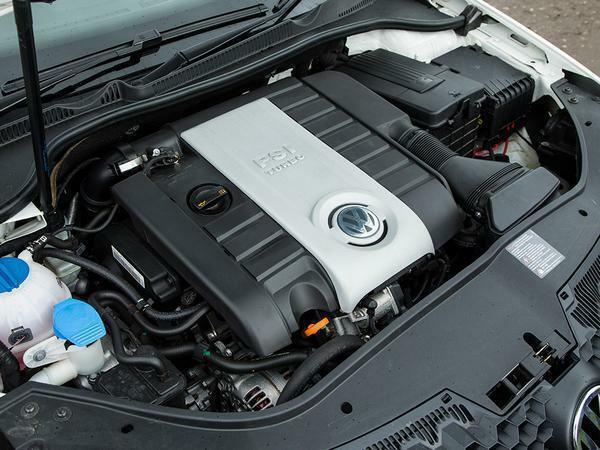 Most importantly of all, there was the latest 2.0-litre FSI unit under the bonnet - the kind of new-fangled four-pot that combined common rail direct fuel injection and a BorgWarner turbocharger to quintessential modern effect. At the time, the injection of 200hp and 207lb ft of torque was widely lauded for the Mk5's transformation. The old 1.8T was bland; the FSI motor was patently not. Its enthusiasm at practically any crank speed was enlivening, and it made the car's 7.3 second-to-62mph time seem a lot quicker in the real world than it was on paper. The chassis appeared less immediately innovative - it's 15mm lower-than-standard springs, stiffer anti-roll bars and re-valved dampers constituting fairly orthodox hot hatch fettling - but it was clearly tuned with finesse, and was praised for the sophisticated way it balanced ride and handling. Driven now, it is this roundedness which feels acutely familiar. The deftness, ease of use and tractability which have since become hallmarks of the GTI are all prevalent in Mk5. The same pleasing ergonomics; the same gratifying control weights; the mid-range industry; the sure-footedness; the suppleness - some of it embryonic and unpolished compared with what would follow in this decade, sure - but all undeniably present and at the root of the car's appeal to even a casual driver. The result is the kind of all-court ability we now take for granted. 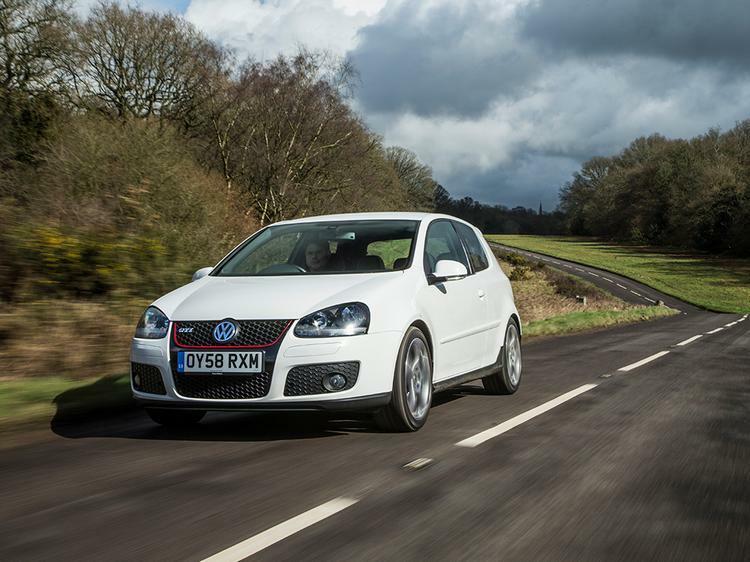 Thanks to its accessible peak twist and sympathetic suspension, the Mk5 makes short work of long motorway journeys. It commutes entirely unobtrusively. And then, just when you want it to - and without needing a button pushed or a drive mode selecting - it knuckles down beautifully to the business of being a discreetly spirited hot hatch. This too is achieved in inimitable GTI style: roll is resisted and lateral grip found with no overt strain - the car just gamely settles into being quicker and sharper and slightly lovelier than it was two minutes previously. Of course there are moments when its wheel control or refinement or outright pace are of a lesser standard than a Mk7 or even a Mk6 - but it's worth noting too that by virtue of its hydraulic steering and passive suspension, and even its inferior NVH standard, the Mk5 tends to seem a bit less detached than its descendants when driven very quickly. And that's rather nice. Nicest of all though is the current price: high mileage examples are plentiful and mostly available for £5k or less - even a less well used GTI will typically be less than £8k. Very well-kept Edition 30 cars are likely to come with the most vaunted seller expectation. The anniversary model was built in limited numbers, and gained an extra 30hp as well as a modest body kit and some interior tinsel. 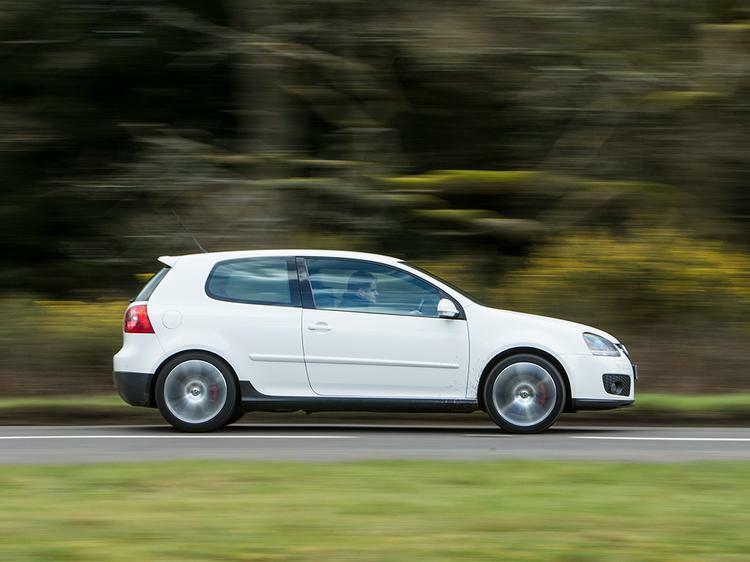 With a 0-62mph time reduced to 6.8 seconds, it's among the most desirable Mk5s - but even these can be had for around the £10k mark. Which means that for around a third of the cost of a brand new Mk7 Golf GTI Performance, you get 85 per cent of what made it great in the first place. A bargain, then - and a hero to boot. I've driven the mk3 and mk4 gtis. I thought they were definitely the weakest links. I thought the mk4 was so poor, that I bought a V5 instead which is what the GTI should have been. 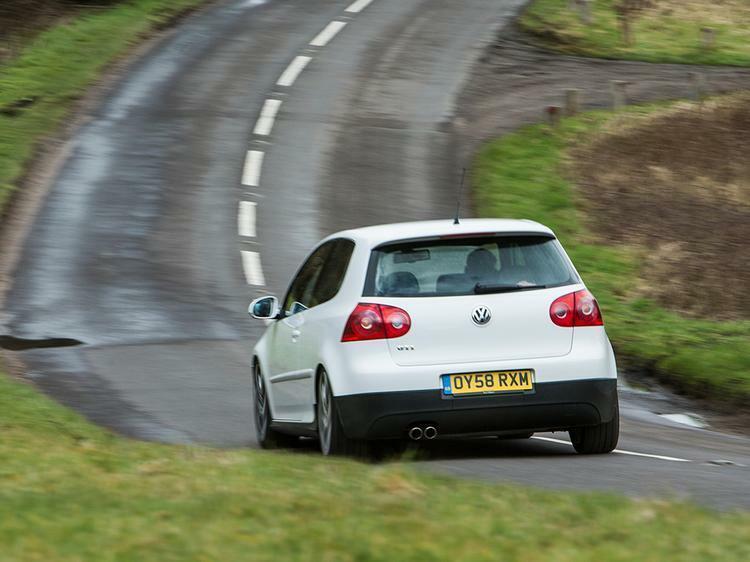 I owned a mk5 GTI and I thought it was excellent a return to form. I currently have a Edition 30 and it's great. Is it just me who finds the endless variations of the "added multi-link rear suspension because twist beams are rubbish" line totally ridiculous? The very same journalists who write this nonsense then laud cars like the Megane RS and Fiesta ST, both of which have twist beams. There were two Mk4 badged GTI. 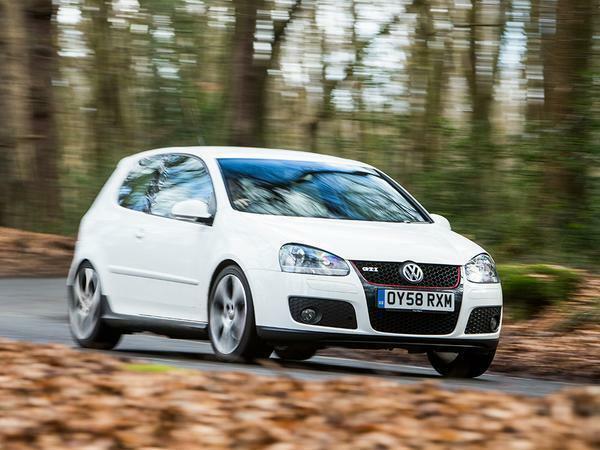 The Mk4 2.0 GTI is a dog with 115bhp. 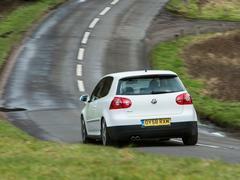 The Mk4 1.8t GTI with 150 or 180bhp isn't a bad GTI. It's well built, can be easily remapped for more power. 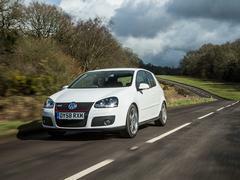 As I've said previously the Golf GTI since the mk5 have just been the best option in the market - they aren't the best at anything other than being the best all-rounder, if that makes sense.